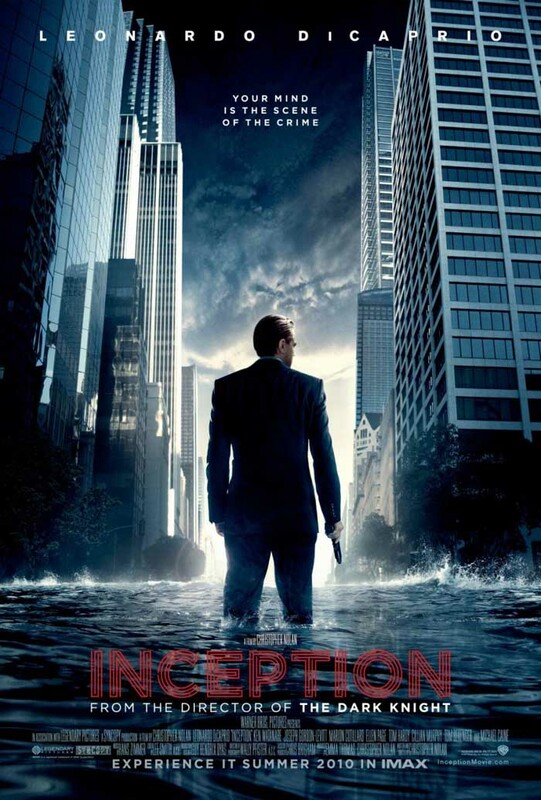 Forget the trailer, it doesn't get close to being a lead in to Inception. Forget any condescending review you might of read in the Telegraph or elsewhere, there's a good chance they haven't done it justice. Why? Because Nolan nails this. It's about dreams, this you know. You've seen the trailer with Paris turning on top of itself and wondered if that's what Inception is, just pure spectacle. There are moments where the effects in this science fiction roller coaster ride do make your jaw slacken in disbelieve but (and credit to Nolan for this) the real high points of the movie are those that are character driven. Apparently this idea has kicked around in Nolan's head for a long time, around ten years, and it shows. The concept of a team of criminals that are paid to steal ideas from people while they are asleep, by invading their dreams, feels so fully formed and as complicated as it gets at times, Nolan never loses the threads. DiCaprio plays Cobb, the leader of the team of thieves who are being employed, not to steal an idea, but to insert one in a man. He delivers a thoughtful performance in a film where it could have been easy to got lost in all the visuals and weirdness. In a movie where most of it plays out inside someone else's head, deeply embedded within their subconscious, it would be all too easy to just play it Keanu Reeves and just let the film move around you. He doesn't let that happen though, Cobb feels fully formed and believable. Ellen Page (you'll remember her from the excellent Juno) plays DiCaprio's foil Ariadne. She's great in this, her initial sense of wonder during those early scenes in Paris fully believable. She's the balance in the movie and although initially Page is there to provide the exposition to explain how all this works, her character makes the jumps in understanding as the audience does in a perfectly synchronised learning curve. She becomes an architect, a builder of the dreams environment, creating worlds upon worlds inside her head. Tom Hardy is great, providing some moments of comic relief and Joseph Gordon-Levitt as Arthur gives a solid performance as the straight guy in all this craziness. He also gets the visually most impressive fight scene. The plot is a surprise, in a good way. Essentially it's a heist movie as the team work in dreams upon dreams inside Cillian Murphy's head attempting to plant and then enforce an idea for Ken Watanabe's big businessman, whose joined them in their world of dreams. Naturally it's not all plain sailing, for Cobb (DiCaprio) this is the proverbial, 'one last job' in order to secure his freedom, having run from America, his own dreams haunted by the projections of his dead wife. Fisher (Cillian Murphy) has had training to protect himself from the dream thieves and his imagination recognises the threat within the dream and fights back. Like any great heist movie though it's the criminals that you're rooting for. The action scenes are visually glorious, Nolan has grown up here, but it's the more subtle stuff that will leave you scratching your head as 2001's famous gravity tricks are ramped up to nth degree. There's one beautiful scene with two mirrors, where CGI takes a back seat and the most believable dream sequence is mustered. There's a no reference to nightmares, but Cobb's wife, played by Marion Cottilard, is the nightmare within Cobb's head that he can't prevent from invading everyone else's subconscious that he intrudes on. Cottilard does a great job of being menacing and vulnerable, even though she isn't real. The film builds a house of cards that Nolan keeps adding too, this would have been all too easy to have screwed up. But it all hangs together precariously, skipping from scene to scene, jumping again as your brain catches up. You'll need to make a few leaps of faith here, something the film references a few times, but if you just accept that in the world of the movie getting inside someone else's head is as easy as drugging them and attaching yourself to a box, with a strange button, then you'll be just fine. Don't worry about the science, this is science fiction at its best. Compelling and thought provoking, Inception is the type of blockbuster summer movie that the world has been waiting for. Visually stunning throughout, with a story that doesn't waver from beginning to end and the final frames are some of the best I've ever seen in a movie, artistic, poignant and perfectly delivered. The performances are top notch throughout, DiCaprio finally looking like he's escaped the man-child branding that's dogged his career. 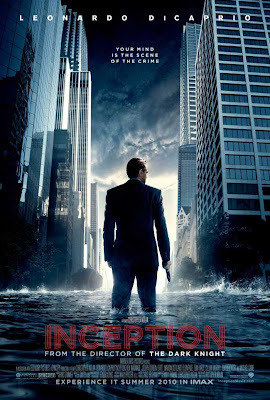 The only worry for Inception is that the complexity of Nolan's story puts people off. But this is the film of the year, don't miss the chance to see this at the cinema. Stunning. Spot on Gray. Still waiting for it all to filter through my..ahem..subconscious but is a visually stunning and well paced, acted and directed piece of film making. Possibly too cerebral for some and of course there are the plot holes and leaps of faith. Like you I found the final scenes very poignant, but the ending itself was exactly how it should of been. Fade to Black.